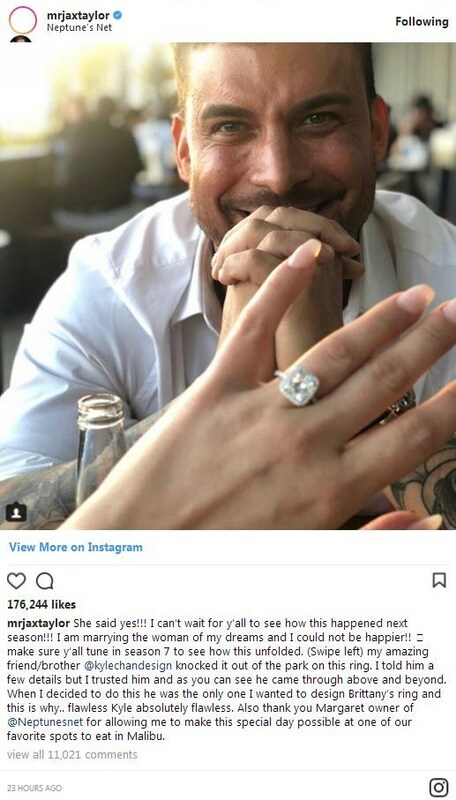 iRealHousewives | The 411 On American + International Real Housewives: Jax Taylor And Brittany Cartwright Are Officially Engaged — See Pics Here! 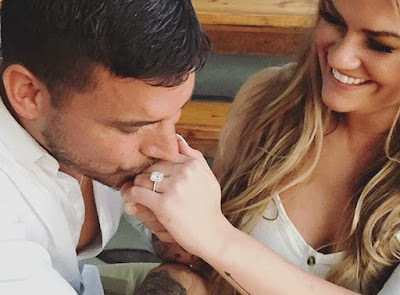 Jax Taylor And Brittany Cartwright Are Officially Engaged — See Pics Here! Jax Taylor and longtime girlfriend Brittany Cartwright are officially engaged. The Vanderpump Rules couple took to Instagram to share the news with their fans. "Omg omg!!!!!!!! We are ENGAGED! What a way to start our summer and season 7!! I am so happy, so in love, and so beyond excited for this next chapter of our lives!," she wrote. "I can’t wait for all of you to see how he proposed! I am the happiest girl ever right now. love can win #PumpRules thank you @kylechandesign this ring is gorgeous!!!" In a different post, Cartwright shared a photo of Jax kissing her hand, while showing off the engagement ring. 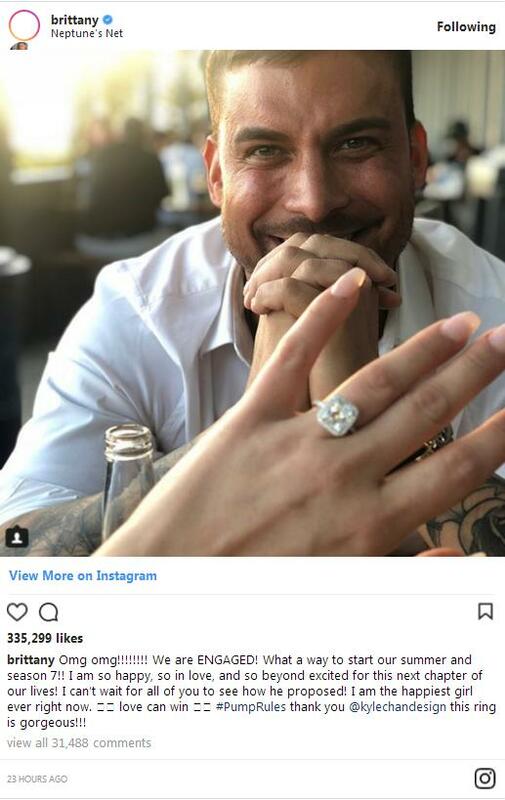 "I still can’t stop smiling ❤️ I love you @mrjaxtaylor," she wrote. 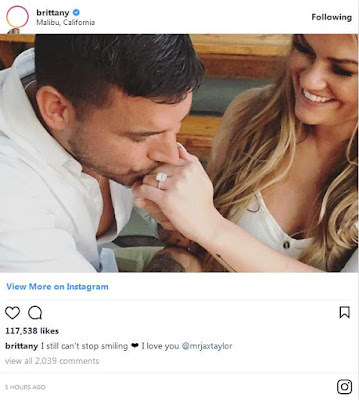 As for Jax, he also took to Instagram to announce his engagement to Brittany Cartwright. "She said yes!!! I can’t wait for y’all to see how this happened next season!!! I am marrying the woman of my dreams and I could not be happier!! make sure y’all tune in season 7 to see how this unfolded. (Swipe left) my amazing friend/brother @kylechandesign knocked it out of the park on this ring. I told him a few details but I trusted him and as you can see he came through above and beyond," he wrote. "When I decided to do this he was the only one I wanted to design Brittany’s ring and this is why.. flawless Kyle absolutely flawless. Also thank you Margaret owner of @Neptunesnet for allowing me to make this special day possible at one of our favorite spots to eat in Malibu." 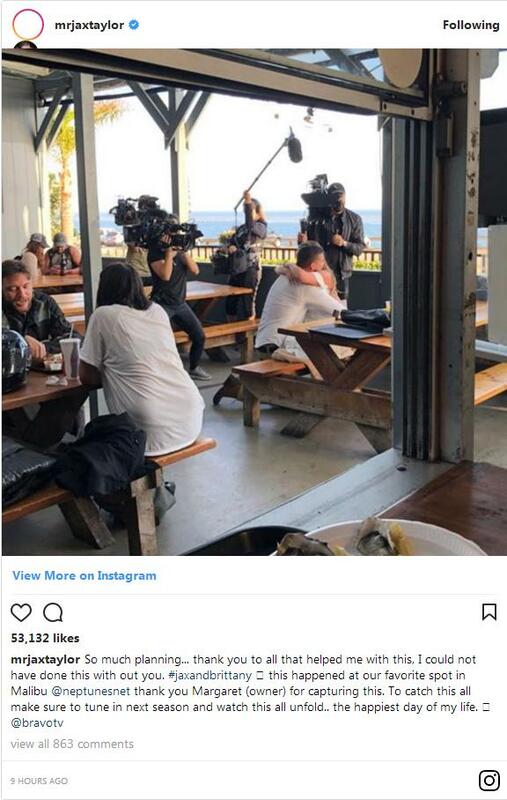 As previously mentioned, Jax and Brittany pretty much confirmed that the proposal was filmed for the upcoming seventh season of Vanderpump Rules. Taylor thanked the production crew and restaurant owner of Neptune's Net for making it all happen. "So much planning... thank you to all that helped me with this, I could not have done this with out you. #jaxandbrittany this happened at our favorite spot in Malibu @neptunesnet thank you Margaret (owner) for capturing this. To catch this all make sure to tune in next season and watch this all unfold.. the happiest day of my life." Congrats to Jax and Brittany on your engagement.